The company which runs the ski lifts at CairnGorm ski area above Aviemore in Scotland has gone in to administration today, but its owners say it will still open for snowsports this winter, possibly as soon as next week. Its the latest in a long line of issues for the centre over the past decade, which most recently have involved the centre’s funicular railway, it’s key uplift being put out of action whilst engineers determine if it has significant structural issue or if it can still operate. A decision is now expected on that in December. The centre is owned by public body Highlands and Islands Enterprise (HIE) who issued a statement on operator CairnGorm Mountain Limited’s move in to administration. Joint administrators, Blair Milne and Derek Forsyth, partners with Campbell Dallas, will continue to trade the business whilst progressing discussions with a potential purchaser for a sale of the business and assets as a going concern. There are no immediate plans to make any redundancies. Cairngorm Mountain Limited employs around 70 staff and had a turnover of £3.5m to 31st December 2017. Opened on Christmas Eve in 2001 following an investment of around £20m, the Cairngorm Funicular Railway carries around 300,000 tourists and sports visitors every year. The funicular has been closed since Monday 1st October to allow for a detailed assessment of the structure that supports the tracks. These investigative works remain on-going. “Clearly, this is not the outcome that anyone wanted when CML became the operator. 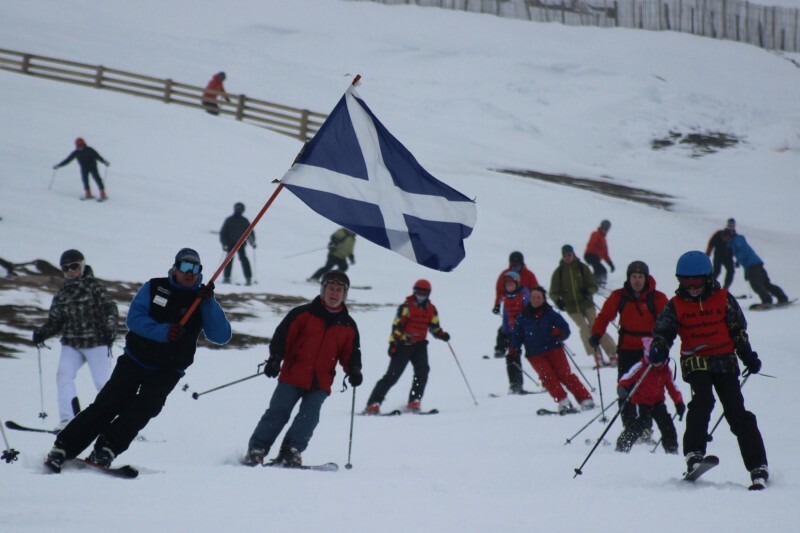 However, with local support, we are confident that the situation can be turned around and we will see Cairngorm flourish again as a fantastic asset for this area, its economy and its people,” continued Charlotte Wright. 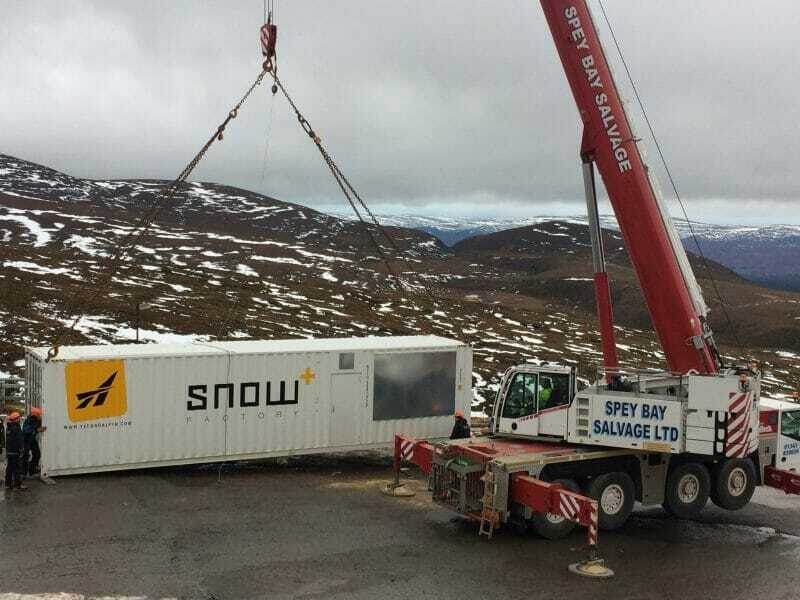 £1m worth of snowmaking equipment, paid for by HIE, has arrived at Cairngorm this week and will be set up on site as soon as possible. The equipment includes an all-weather snowmaking system similar to, but larger than, existing facilities at Glencoe and The Lecht, and mean that there could be adequate snowcover for a small area to open as early as next week. HIE was in charge of operations from 2009 until 2014, when CML, then referred to by the name of its parent company Natural Retreats although the operator has always been CML, was appointed as operator for the resort following international procurement.